We were glad to have John call us just a few days ago and take advantage of our open Sunday. 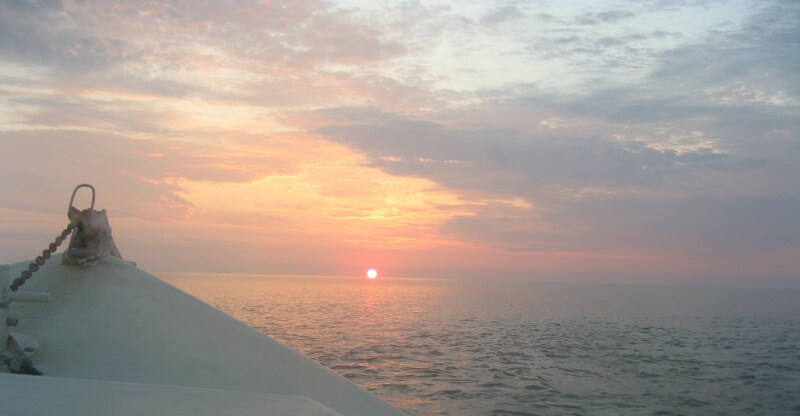 He brought a great group and we came into the Bay, we were greeted by a beautiful sunrise. We were glad the weather and the fish cooperated with us. We found lots of blues to fish on, bringing home one of our best catches. Really appreciate having you fish with us John – hope to see you again soon! Great having Ken and his crew fish with us. We picked them up at their rental house dock (Sloop Creek Lodge) just down from our dock and had some chop on the water, and after a slow start, got into the blues to bring home a good catch. Thanks gang – we appreciate having you fish with us again and hope to see you back on KIT II for another great day on the Bay. Thanks to Bob from Texas who organized his family’s large family reunion at Westmoreland State Park, which included a fishing trip with us. 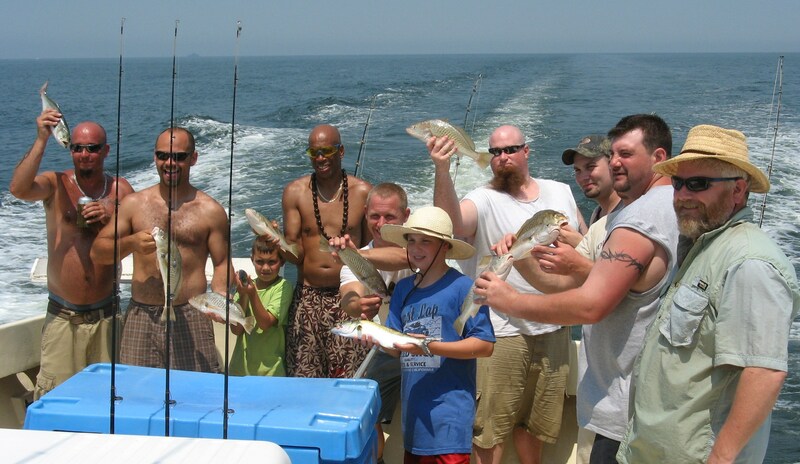 We enjoyed having them aboard and brought back plenty of beautiful 2 – 4 lb bluefish for their fish fry! Appreciate your business and please let us know if you are ever back in the area. Thanks George for sending your car specialists down to fish with us. We had a great time and appreciate your business. We appreciated having Tim and his gang join us today. The bay was slick calm, the temps were high and we caught and released about 35 stripers and kept a nice catch of croakers. Thanks men for spending the day with us and look forward to having you back. Glad to have my neighbor Don and some of his family members join us for a day’s fishing. 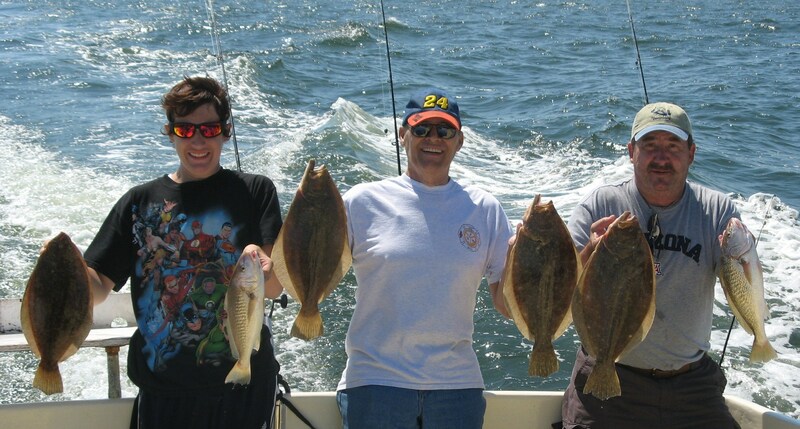 Though the waters were choppy, we managed a nice catch, including some beautiful flounder and croaker. Appreciate having you all aboard with us! 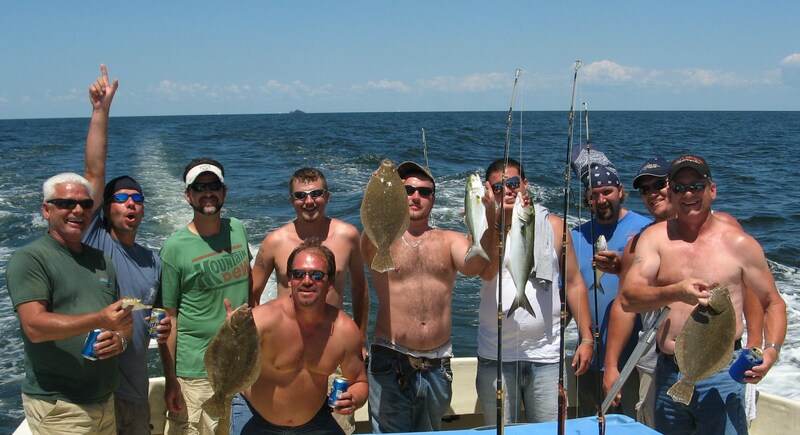 Thanks Rick for bringing your gang and fishing with us again. Fishing was slow but we managed to have a good day, including some croakers, blues, flounder, and a baby cobia, which we successfully release. Appreciate your business!